When we’re planning our gardens, so many of us forget about what should make up the backbone of our gardens: trees and shrubs. Trees and shrubs are larger than most other plants in your garden, so you want to plan around them. Once you plant them, they should stay put–It’s harder to relocate a tree placed in the wrong spot than it is to move a 12-inch flower. Trees can be expensive, too, so you want to make sure you make the right choice from the start. 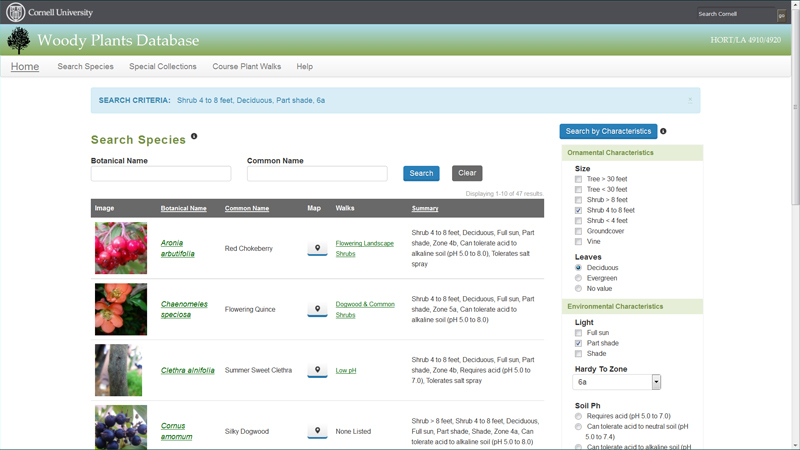 A great resource is Cornell University’s Woody Plants Database. You can search the database by several different characteristics to find suggestions that will work for you. 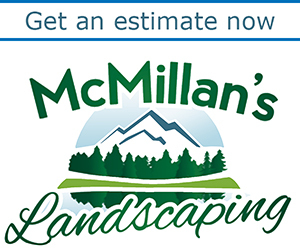 You can choose trees (taller than or shorter than 30 feet), shrubs (taller than 8 feet, 4 to 8 feet, or shorter than 8 feet), groundcovers or vines. Select your light conditions: sun, part sun or shade. You can choose deciduous (plants that drop their leaves in winter) or evergreen. If you have wet or dry areas, you can also use that in your selection. And if you want to plant something near the street where it may be affected by salt runoff, you can select for that, too. When I chose a deciduous shrub 4 to 8 feet tall for part shade in gardening Zone 6a, I got 47 results. Each entry is packed with information, including what insects and disease might bother the plant. Additional comments may let you know that the shrub will need pruning or adds winter interest. There are lots of photos, too. If you know the name of a tree or shrub, you can type that in to find out more about it. This is a great reference for gardeners to learn from. Useful reference and one to have for many when planning. 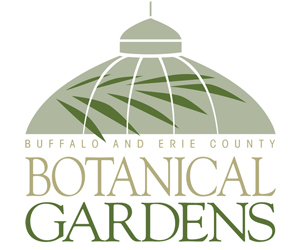 © 2015 Buffalo-Niagara Gardening. All rights reserved.